A mobile app development process is ever-expanding and flourish further with time, undeniably the process of attaining an impeccable mobile app solution for your business requirement, is a dream people yearn for…but the Android app development process, does not initiate with the concept and ends with the development only, but the actual journey begins with the app publishing on the Android platform. I agree the process is not the most comforting either for iOS or Android, and each has their own specific demand of prerequisite, failing to meet the demand; you face the music and suffer the unnecessary trouble and pain of mobile app rejection. 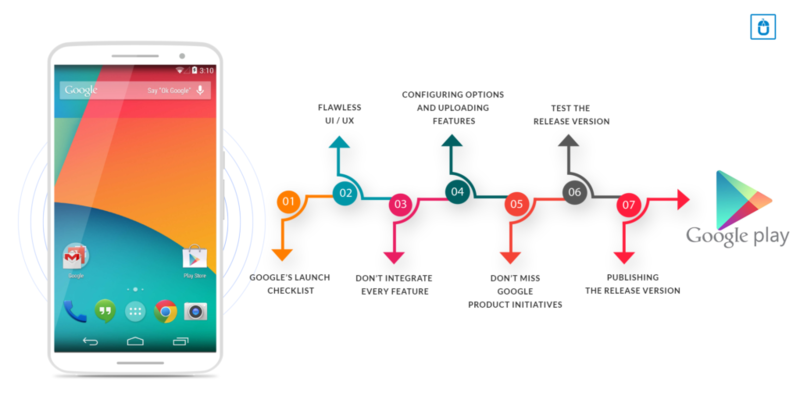 The first and the foremost relevant aspect is Google’s Launch Checklist, most of the app developers trust their experience while publishing the mobile app on the Android app market, which is not at all a bad thing, but before you publish your app, it would not be wrong at all to follow the Google’s Launch Checklist. Do you wonder why? 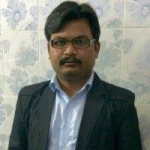 At times there are certain basic rules which you skip unintentionally and it may lead to app rejection, so in order to avoid such gruesome situation for your client and yourself, it is always advisable to cross-check the Google’s launch checklist and remain ensured that you’ve covered all the mentioned rules. Your app concept is incredible, app marketing is also commendable, but when the real-time app publication on the Android app market comes, your app fails to get published. It happens that even after having a wonderful concept and marketing, your app would face the sunlight of Google Play. To avoid yourself to fall into such pitfall of rejection agony, you ought to adopt the seamless user experience inside an awesome UI, so Google Play will feature your mobile app without any hassle. Google looks forward a refined and polished UI /UX as possible to meet its overall Android app standards. We all have heard the phrase “Jack of all trades and master of none”, although this aphorism has a hidden message within it, for the intellectual Android app developers. Are you unable to judge the context behind my words, lemme explain; when we try to compete with the every app available in the Android app market, we end up infusing the confusion and friction together within the mobile app, which is highly unhealthy option for the health of your mobile app. As an Android app developer, you need to integrate features, based on the user’s demand and the marketing research, which will help you incorporating the only relevant features within the mobile app. With Android app market, your mobile app has a wider audience throughout the world with various devices. By configuring various Google Play settings, choose the countries you want to reach, the listing languages you want to use, and the price you want to charge in each country. Google Play gives you an option of configuring listing details: application type, category & content rating. On finalizing the configuring options you may upload the promotional materials and the mobile application as an unpublished draft application. One more aspect help to increase the chances of your mobile app being featured, is the integration of Google Product initiatives, like Android Pay. Google is very particular about the mobile app’s features, which utilize the services and features both within the Android app ecosystem. Before you plan to make your mobile go live, you need to consider some crucial points; you ought to test the release version on at least one target handset device and one target tablet device. Make sure that every single piece of multimedia files and graphics as a resource of mobile application, are updated and staged on the proper production servers. If you are assured from every angle and think nothing more is left, then you can simply click the Publish button in the developer console and within minutes your application will be live and available for your users to download in the maximum numbers. All these options are suitable for your Android mobile app being considered by Google Play, but if you think there is a proven formula to be implied, to get your app featured on Google Play instantly, then you are absolutely wrong, since there is no success formula to try your luck here, rather you need to extra cautious while developing and before publishing your mobile app on the Google Play, failing to which Google cannot approve your mobile app to be published on the Google Play. You need to be well versed with the Google guidelines and need to pay attention to every single point mentioned above, to save yourself from the horror of disapproval from Google. At Techugo- a top Mobile app development company, we take pride in developing the mobile apps for the leading brands to startups and our Android mobile app development team has the expertise to create a unique variety of Android mobile app solution for your business needs, which would help you to showcase your idea, goal and dream in the most informative and engaging way. Our team of top Android mobile app designers is here to help assist you with every step of your Android mobile app development strategy. We consult, brainstorm, manage the project, design, develop, test, launch, and market apps in the best possible way. You can get in touch with our team to discuss further your concept to bring into reality. The discussion would help you to gain a better insight of your app requirement.